Victor R. Fuchs is the Henry J. Kaiser Jr. Professor Emeritus in the departments of Economics and Health Research and Policy at Stanford University. He is also a research associate of the National Bureau of Economic Research, a senior fellow at the Stanford Institute for Economic Policy Research and a fellow at Stanford's Freeman Spogli Institute for International Studies. He applies economic analysis to social problems of national concern, with special emphasis on health and medical care. He has authored nine books, served as editor of six others, and has published more than 200 papers and shorter pieces. His current research focuses on inequality in the age of death in the U.S., the transformation of U.S. physicians and the cost of medical care. Fuchs was elected president of the American Economic Association in 1995. He has also been elected to the American Philosophical Society, the American Academy of Arts and Sciences, and the National Academy of Medicine. He has received many honors and awards. 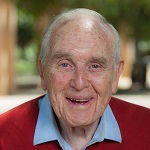 The American Society of Health Economists' Career Award for Lifetime Contributions to the Field of Health Economics is named and awarded in honor of Fuchs.